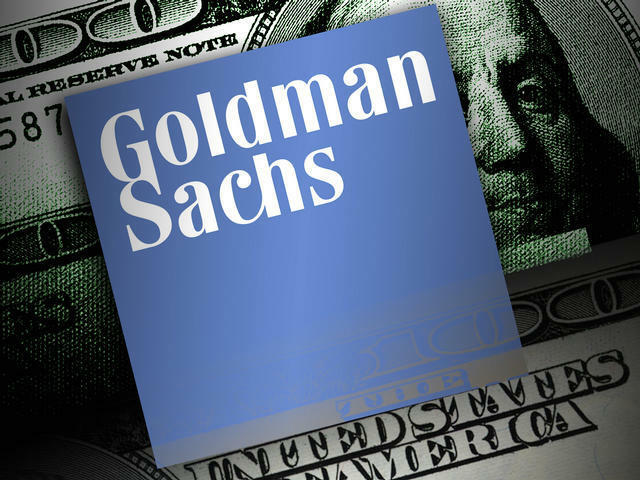 (MoneyWatch) The Securities and Exchange Commission has ended an investigation into whether Goldman Sachs (GS) misled investors in a $1.3 billion sale of residential mortgage-backed securities arranged by the investment bank in 2006, shortly before the housing crash. The agency notified Goldman in February that it was looking into whether the company misrepresented the riskiness of a mortgage deal dubbed "Fremont Home Loan Trust 2006-E." Goldman disclosed in a regulatory filing Thursday that the SEC does not intend to recommend any enforcement action against the company over the deal. During the housing boom that preceded the 2008 financial crisis, Goldman and other large Wall Street banks bundled millions of risky home loans into securities and sold them to investors. In 2010, Goldman agreed to pay $550 million to settle federal charges that it misled investors in some mortgage products. The Financial Crisis Inquiry Commission, a congressional panel formed to examine the causes of the crisis, concluded last year that financial firms had deceived mortgage investors. The SEC's decision not to file charges against Goldman over the mortgage deal is drawing criticism by advocates of stronger government oversight for Wall Street. "It is still staggering that no elite player has been prosecuted, fined, or jailed," says William Black, associate professor of economics and law at the University of Missouri and a prominent former government financial regulator. "There has never been a single investigation worthy of the name of any of the entities involved" in the mortgage meltdown. In the 1980s and 90s, Black was a top federal regulator at the Federal Home Loan Board and Office of Thrift Supervision. In that role, he led the prosecution of hundreds of bankers involved in the savings and loan crisis. Black believes the current lack of prosecutions isn't the result of a "vile conspiracy" among government officials and financial executives. Rather, it is the result of government efforts in recent decades to make regulators more industry friendly, he said, pointing to then Vice President Al Gore's "re-Inventing government" initiative in 1990s as a key turning point in the relationship between federal watchdogs and regulated corporations. "Agencies were told to get away from punitive actions," Black said. "Instead, they needed to form partnerships with industry. Industry needed to be thought of as customers." This fundamental change in regulators' mission made it hard for government agencies to justify having large staffs. As a result, Congress cut the budgets of regulatory agencies tasked with policing the financial industry. The FBI and the Justice Department rely on bank examiners and other front-line regulators for the information needed to prosecute fraud and other criminal cases. "It's not like finding a body on the street and looking for clues. These are very complex cases," said Black, author of the book "The Best Way to Rob a Bank is to Own One." The FBI and U.S. Justice Department lack financial industry expertise, so they rely on financial regulators for advice on which companies and executives to prosecute. "During the S&L crisis, regulators made 30,000 criminal referrals," Black said. "So far the Office of Thrift Supervision has made none. The Office of the Comptroller of the Currency has made maybe three. The [Federal Reserve] has made three, and two of those were against foreign banks."